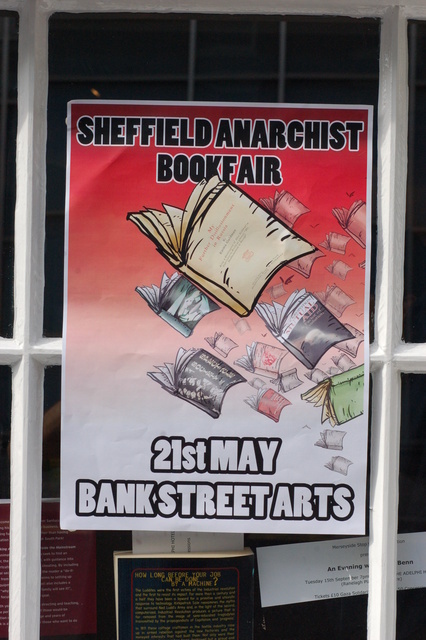 The 2017 Sheffield Anarchist Bookfair was the fifth one held in the Showroom. Here are all the details of the 2017 programme of workshops, stalls and film screenings.. 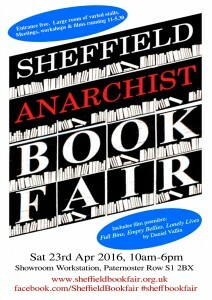 The 2016 Sheffield Anarchist Bookfair was the fourth one held in the Showroom. Here are all the details of the 2016 programme of workshops, stalls and film screenings.. 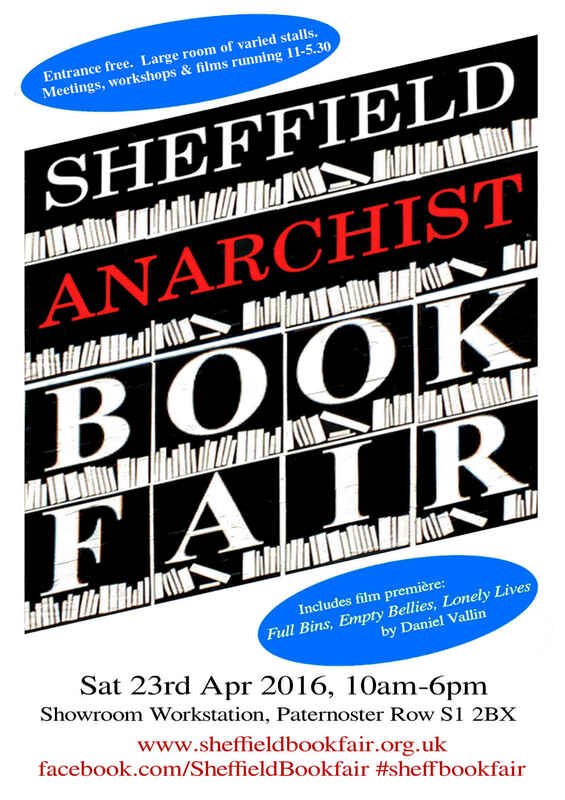 The 2015 Sheffield Anarchist Bookfair was the third one held in the Showroom. 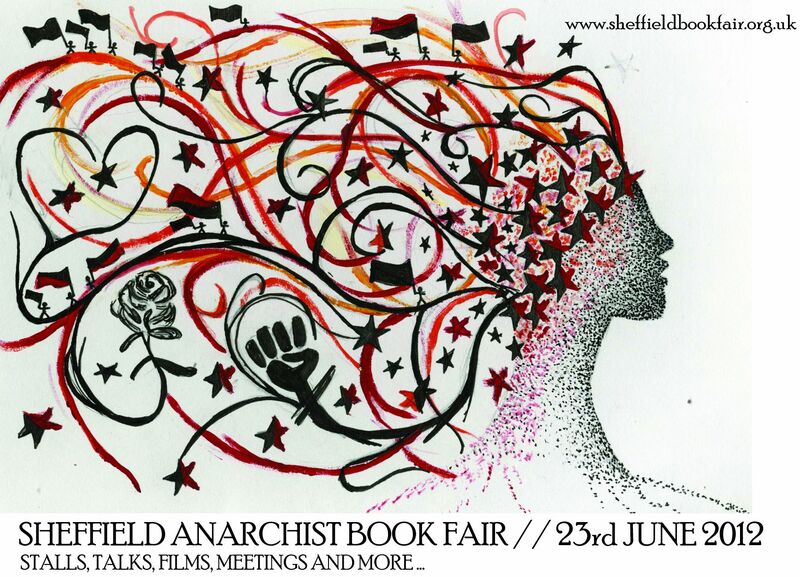 Here are all the details of the 2015 programme of workshops, stalls and film screenings.. 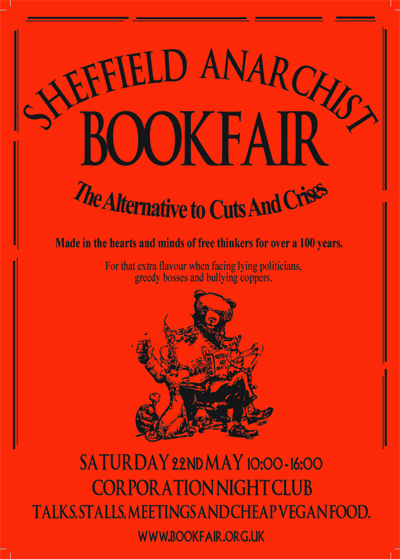 The 2014 Sheffield Anarchist Bookfair was the second one held in the Showroom. 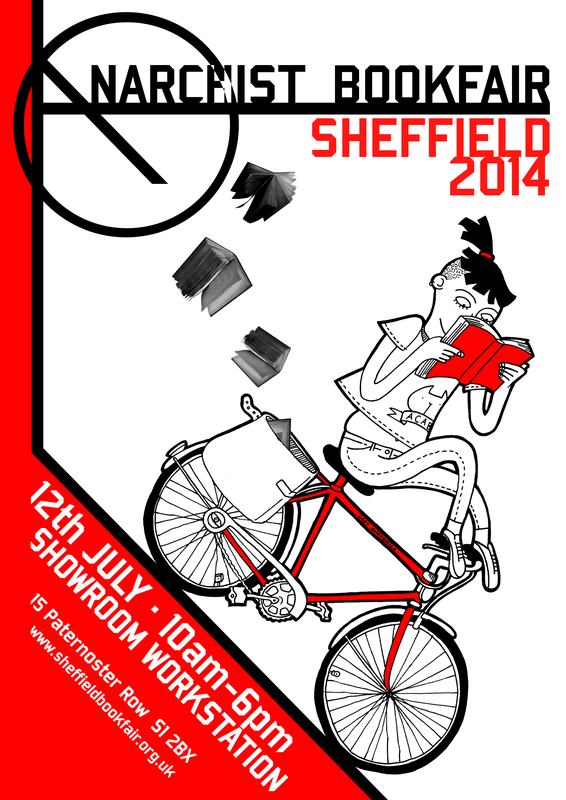 Here are all the details of the 2014 programme of workshops, stalls and film screenings.. The 2013 Sheffield Anarchist Bookfair was the first one held in the Showroom. The 2013 website has been preserved by the Internet Archive. 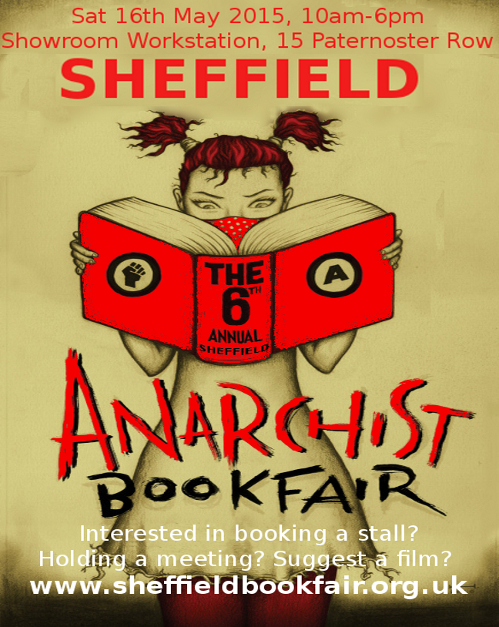 There are some photos from the 2013 stalls on Sheffield Indymedia. 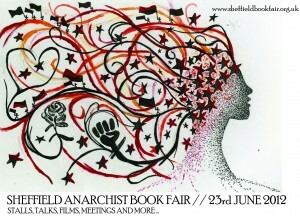 Anarchism, Marxism and the state: the real divide amongst revolutionaries? They say ‘cut back’ we say….? 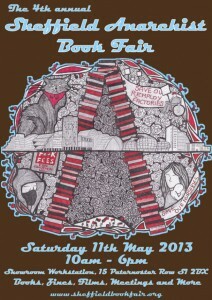 The 2012 Sheffield Anarchist Bookfair was held at Bank Street Arts. The 2012 website has been preserved by the Internet Archive. 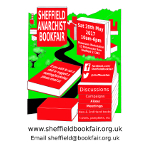 There are some photos of the 2012 stalls at Sheffield Indymedia. 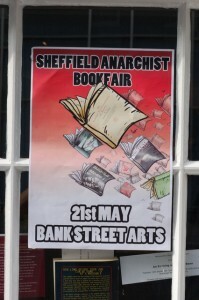 The 2011 Sheffield Anarchist Bookfair was held at Bank Street Arts. 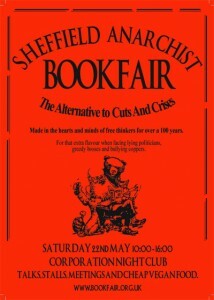 The 2010 Sheffield Anarchist Bookfair was held at The Corporation.